In one of his first official acts, Sri Lanka’s newly elected president, Maithripala Sirisena, announced that his country’s importation of the world’s most used herbicide, glyphosate, was to be banned immediately and that the release of stocks already in the country was to be halted as well. further protect the country’s farming community. In Sri Lanka, chronic kidney disease now affects some 15 percent of the working-age population in the country’s northern regions. That amounts to a total of around 400,000 patients. Some 20,000 people die annually of the illness, Sustainable Pulse reported. The website added that the Sri Lankan ban follows a pair of scientific studies led by Dr. Channa Sudath Jayasumana that found that drinking water from abandoned wells contained concentrations of glyphosate and metals that were much higher. In addition, the studies indicated that spraying glyphosate increased the risk of deadly kidney disease by as much as five-fold. In addition, Sirisena’s ban comes on the heels of a recent World Health Organization announcement that glyphosate is a likely human carcinogen. The assessment by the International Agency for Research on Cancer (IARC) of glyphosate, which is used in herbicides with estimated annual sales of USD 6 Billion, will be of special concern to Monsanto, the company that brought glyphosate to market under the trade name Roundup in the 1970s. As further noted by PBS, use of glyphosate has soared over the last 20 years and has received approval for use by the U.S. Environmental Protection Agency despite lingering questions about its safety. 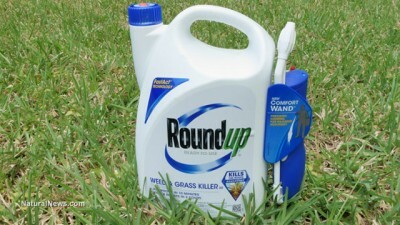 In addition, rampant use of the chemical has been criticized because of the rise in super weeds, which are weeds that are becoming resistant to glyphosate applications. Naturally, biotech giant Monsanto – original developer and manufacturer of glyphosate – has launched a broadside against the IARC in press release. The company says it was “outraged” by the IARC’s conclusions. This is not true. We have documented repeatedly that glyphosate has been identified as causing toxicity in a variety of circumstances surrounding its use. As we also reported, Sri Lanka banned the sale of glyphosate herbicides in March 2014, but that decision was eventually overturned a few months later following a review. The latest decision by Sri Lanka’s new president, however, will have a huge significance following the latest WHO report on glyphosate. With Sirisena’s decision, Sri Lanka has become the second country after El Salvador in 2013 to ban the sale and use of glyphosate herbicides. El Salvador’s decision was also based on a higher-than-average occurrence of kidney disease associated with the chemical’s use. Bermuda, meanwhile, has placed a temporary ban on the importation of glyphosate-containing chemicals and is reviewing the issue. Monsanto is demanding a retraction of the IARC’s findings, which is typical; the company’s operatives tend to bully scientists and academics who dare to report findings that the biotech giant’s products are killing people. Does Sri Lanka’s leader know something President Obama doesn’t? It appears pretty obvious that he does.